This spacious ranch home sits on a cul-de-sac lot facing a stunning lake in the Orchard Lakes subdivision. The Casey floor plan was designed with entertaining in mind with its open concept design, vaulted ceilings and over-sized bedrooms for kids or guests. The vaulted master suite offers his and hers closets off of the beautiful master bath. The kitchen features a generously sized breakfast bar and large walk in pantry topped off with granite counter tops. If additional space is needed, youll find a full daylight basement which could easily be finished into livable space. 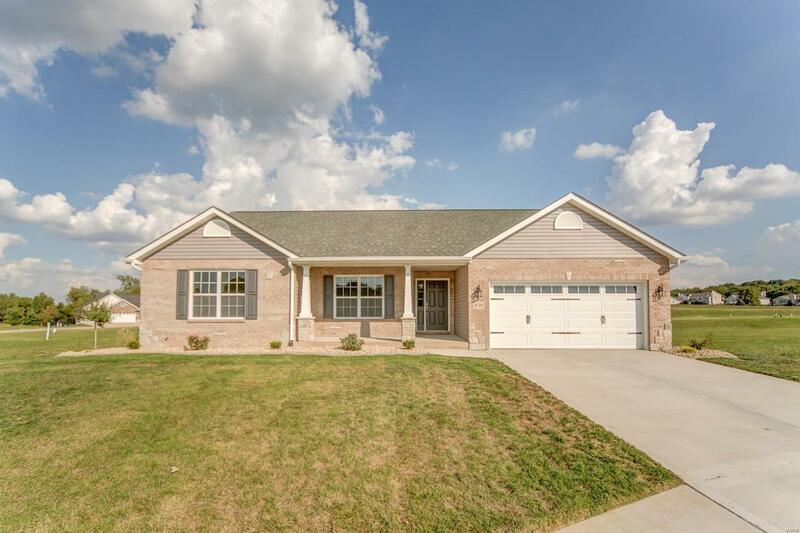 The front features a craftsman elevation with stone accents and a 14x14 deck sits out back off the kitchen/dining area. The covered front porch is the perfect spot to sit back, relax and admire the beautiful lake. Just minutes to Scott AFB and easy access to Rt 15 and Downtown STL. Agent related.